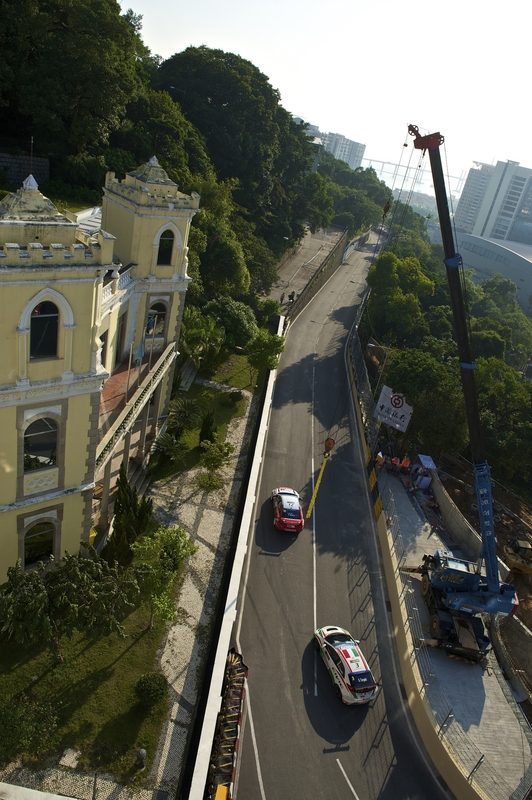 Tiago Monteiro collected his fifth podium appearance of the season when he finished second in Race 1 in the FIA World Touring Car Championship finale here in Macau today. Right from the start the Portuguese star was under intense pressure but drove superbly to keep all challengers behind the number 18 Castrol Honda for the full nine laps to finish just a car’s length ahead of his nearest rival. For Gabriele Tarquini the day turned into an anxious drama when an electronic fault was discovered during the brief early morning warm-up session which necessitated the engine be changed. Tarquini would miss the start of race 1 and his slim 25 point advantage holding second place overall in the Drivers’ Championship looked under threat. 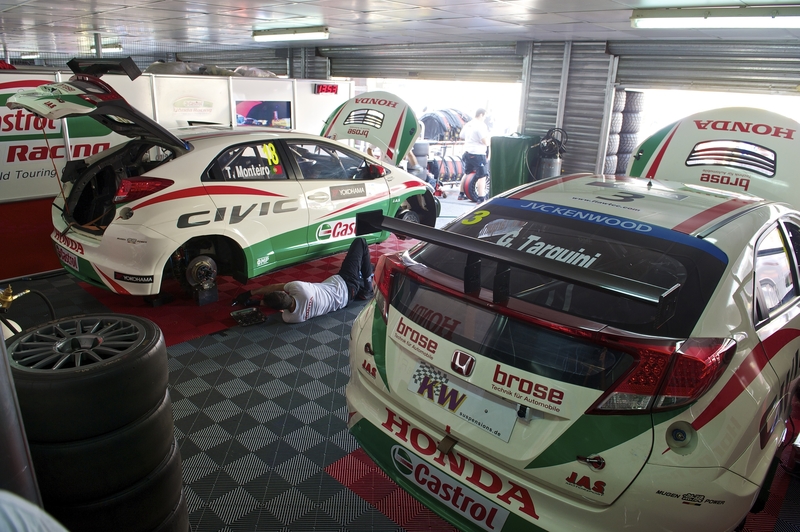 Frantic work by the JAS Motorsport team had the Civic ready for race 2 where the Italian was able to finish 9th overall to secure his well-deserved Championship runner up title. 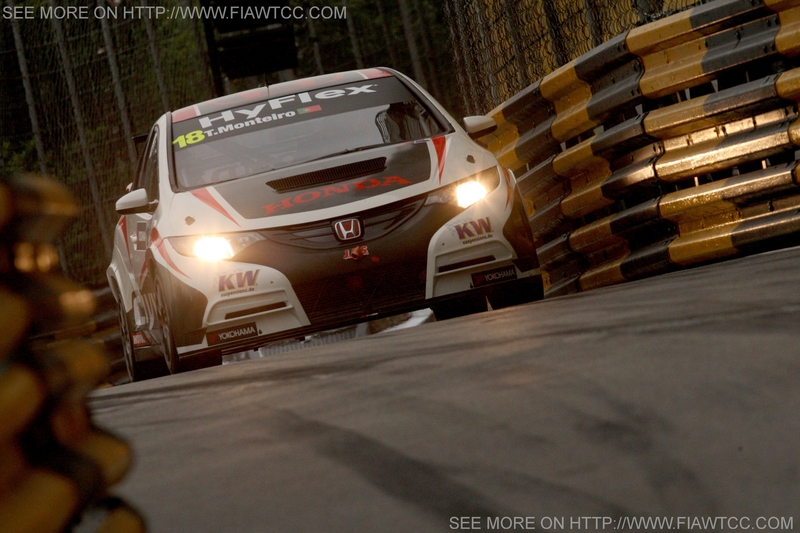 While Gabriele was forced to sit-out race 1, Norbert Michelisz took a hard won 4th place in his Zengő Motorsport Civic. However the young Hungarian was not so fortunate in Race 2, when multi-car accident just meters after the start eliminated his Civic and several other cars. The close confines of the Guia street circuit were to prove treacherous for the drivers during race 2 which had to be restarted not once but twice. Monteiro avoided the start chaos but had contact on the first lap of the restarted race and was forced out of the running with damaged rear suspension and brakes. Tarquini also managed to evade the many wrecks during the race that eventually was completed nearly 90 minutes behind schedule. His sterling drive netted a further 2 points and, with his potential challengers all falling away, his runner-up position was confirmed as a great credit to his hard work during the season.